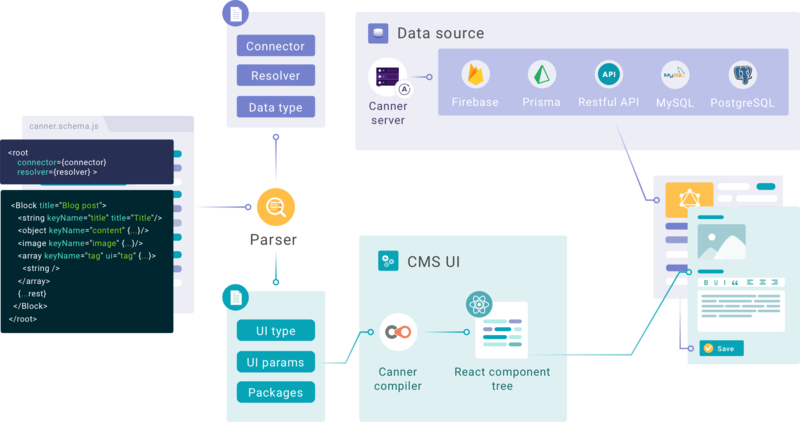 Canner make building CMS simple, we help you deal with most complex tasks such as data modeling, construct CMS UI, data caching and connecting to different sources, etc. 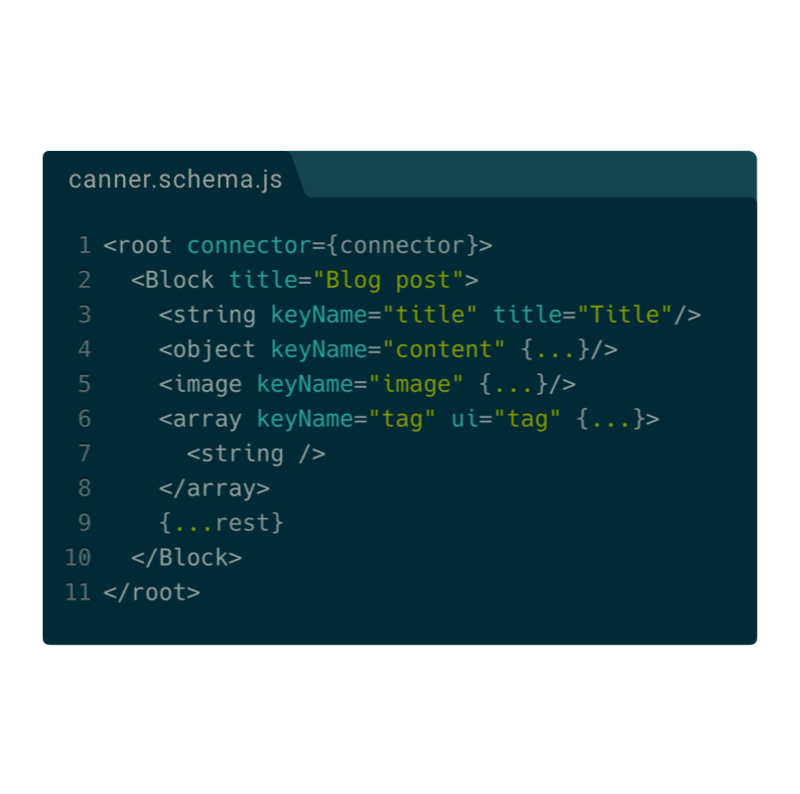 Canner CMS is constructed with a schema which is written in JSX (XML-like). These tags represent the data types in your structure such as string, number, array, date types. You can use these types to declare and build your CMS UI in a declarative and flexible way. 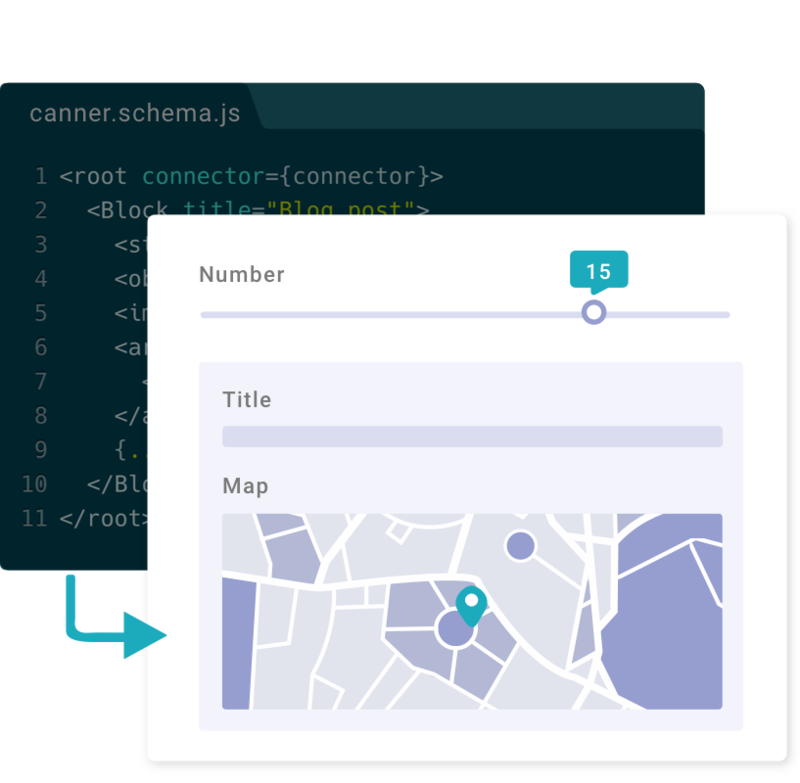 Canner build a GraphQL interface adapts query from CMS to different data sources. 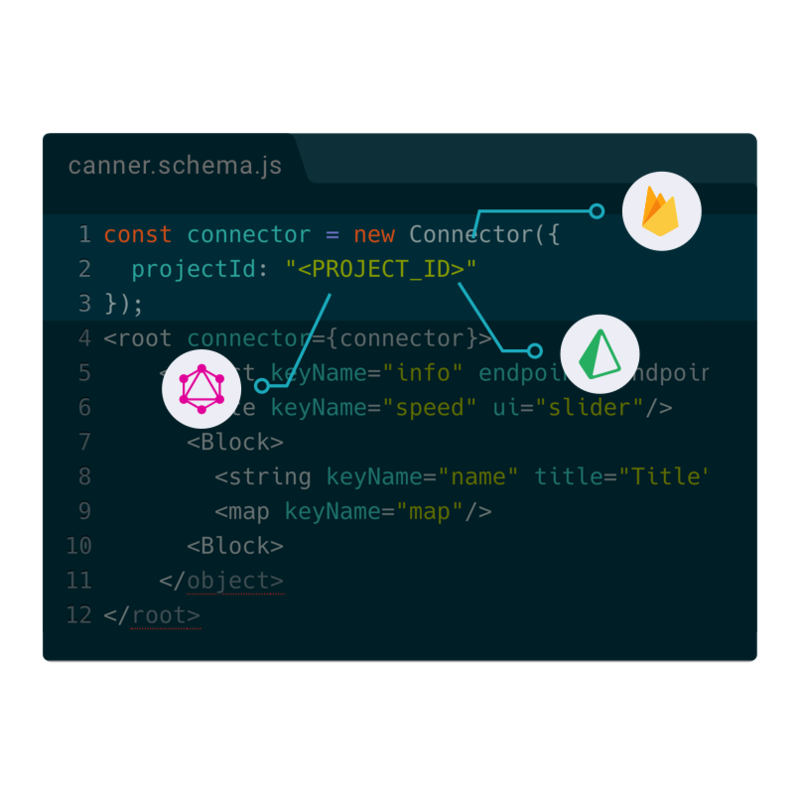 You can customize your own data flow by writing GraphQL resolvers, or use adapters for Firebase Realtime Database, and even Graphcool. You could host your CMS on our platform, or you could use our self-host open source edition to host on your server. Moreover, we provide enterprise service to integrate our service into yours! 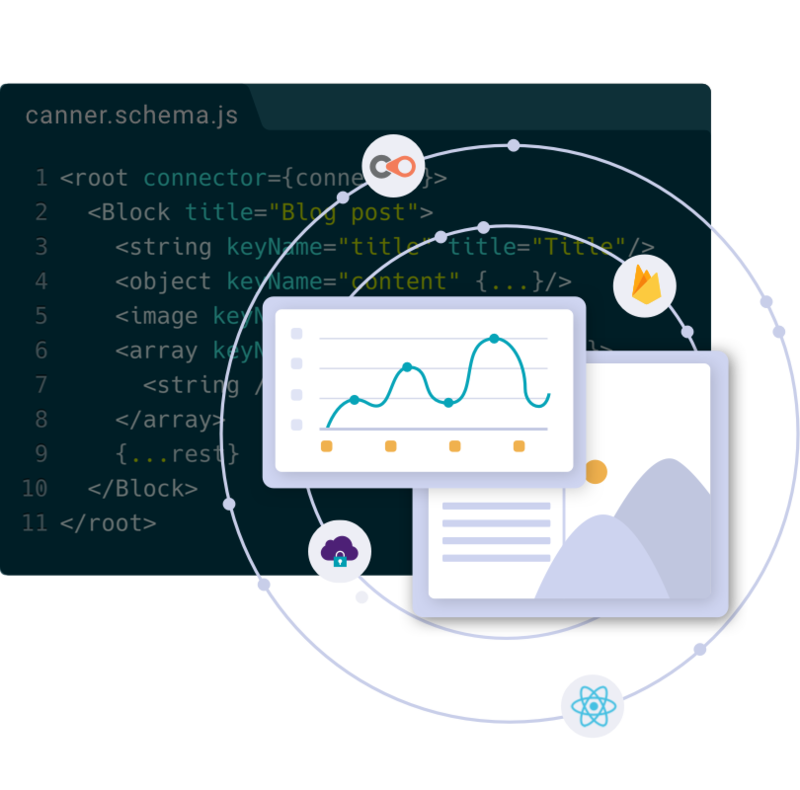 How to host on Canner platform?